Brief The rocks are surrounded by the Laccadive Sea. 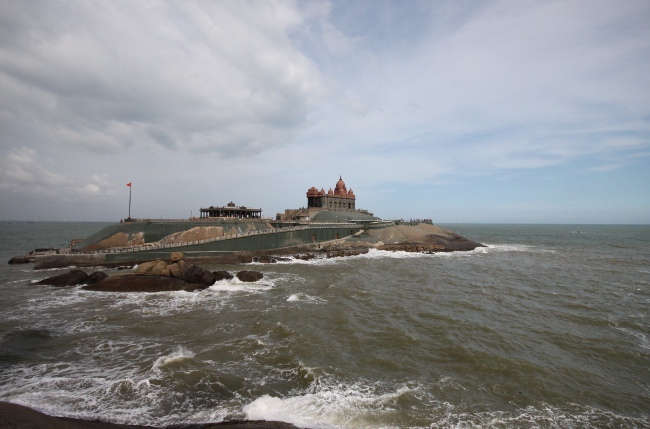 The memorial consists of two main structures, the Vivekananda Mandapam and the Shripada Mandapam. Extra According to local legends, it was on this rock that Goddess Kumari performed austerity. People Love For Place A meditation hall known as Dhyana Mandapam is also attached to the memorial for visitors to meditate which gives the visitors peace. Tips Maintain the place decorum and keep the place clean. People Love For Place The sea breeze and spirituality is worth experiencing. Tips Maintain Silenece in the memorial premises. 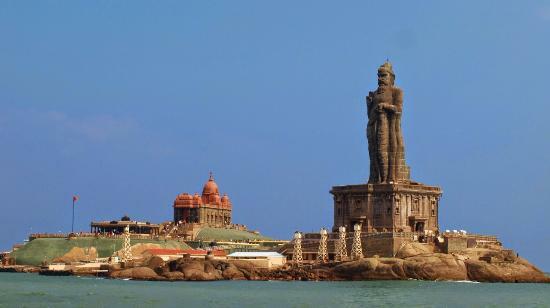 Distance From Other Place 3.2 km from Thiruvalluvar statue. Extra It's also a noted pilgrimage site thanks to its Bagavathi Amman Temple, dedicated to a consort of Shiva, and its Our Lady of Ransom Church, a center of Indian Catholicism. People Love For Place The picture perfect view of southern most tip of India and the wide ocean before it. Distance From Other Place 7 km from Thiruvalluvar statue. Facts It was built in the 18th century as a coastal defense-fortification and barracks in the erstwhile Travancore kingdom. Facts There are two monuments. The earlier rock-cut Jain structure of beads with inscriptions and drip-ledges is the earliest Jain monument in the southernmost part of India which was from first century BC to sixth century AD. People Love For Place An ancient fort .